Ensenada, Mexico, June 9, 2015 – In one of the closest finishes in recent memory, Mexican native Carlos Apdaly Lopez claimed the overall win at the 47th running of the Bud Light SCORE Baja 500 by just 50 seconds over BFGoodrich Performance Team member Rob MacCachren. · BFGoodrich has now collected the overall win in the last eight SCORE Desert races and also collected 17 of the last 18 major North American desert races, including the Best In The Desert series. · Over the past four years, BFGoodrich has been on 33 of the top 40 overall finishers. · The BFGoodrich Tires Baja T/A® KR2 race tire has 12 overall desert race wins. 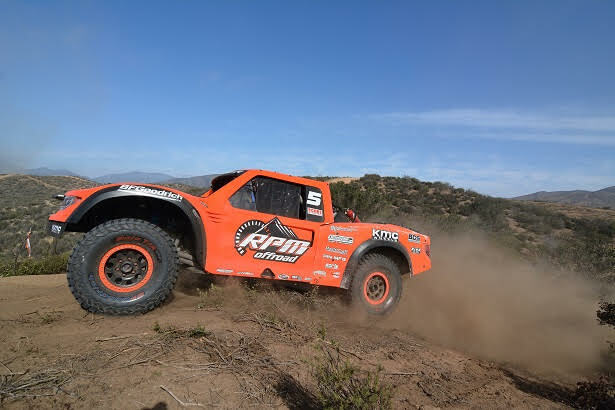 At the SCORE Baja 500, 10 of the top 11 finishers were running KR2 on their vehicle and the tire helped claim four class titles. · 62 percent of the four-wheel race field strapped BFGoodrich Tires on their race vehicle, including 48 on the Baja T/A KR2. 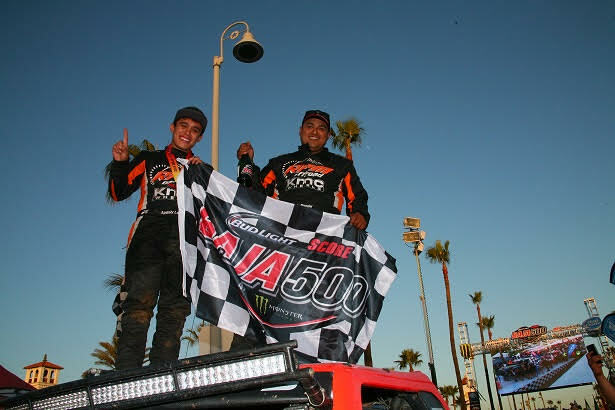 For this year’s SCORE Baja 500, 48 race trucks hitched Baja T/A KR2 tires to their trucks, including 20 in the premier Trophy Trucks class in which nine of the top 10 were running the tire. Additionally the KR2 won four class titles at this year’s race. Additionally, BFGoodrich swept the Class 10 podium spots. Bringing a new product to the grueling terrain that accompanies Baja desert racing often causes heartache. But just as the brand did in 2013 with the original KR2 for Trophy Trucks, BFGoodrich introduced its new Baja T/A KR2 UTV tire which was lauded as a “game changer” by the two teams that ran on them in the UTV class. Currie entered the race using his King of the Hammers rock crawling race vehicle. He finished 18th in the Trophy Truck class in a time of12:56:39. Using motorsports as a proving ground for more than 40 years, BFGoodrich® Tires is involved in nearly every type of racing, including sports car, drag, desert, dirt, short course and extreme rock crawling. BFGoodrich Tires combines technological expertise with vast motorsports experience, delivering a high-performance tire for every type of vehicle. Visit BFGoodrich Motorsports site at http://www.bfgoodrichracing.com or BFGoodrich Tires on Facebook at www.Facebook.com/BFGoodrichTires or on Twitter atwww.Twitter.com/BFGoodrichTires.